Everyone has their own favourite sport. 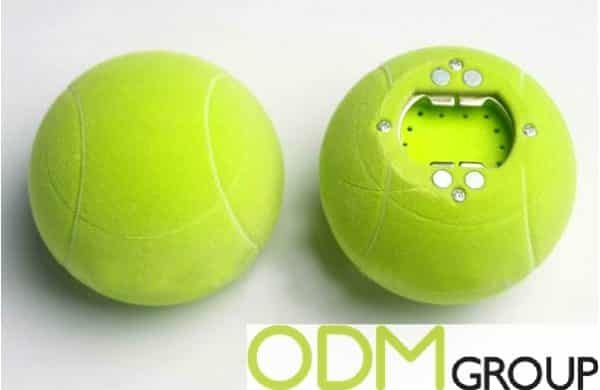 Be it football, golf or tennis, this Ball Shape Bottle Opener has got you covered for your Creative Sports Promotion. 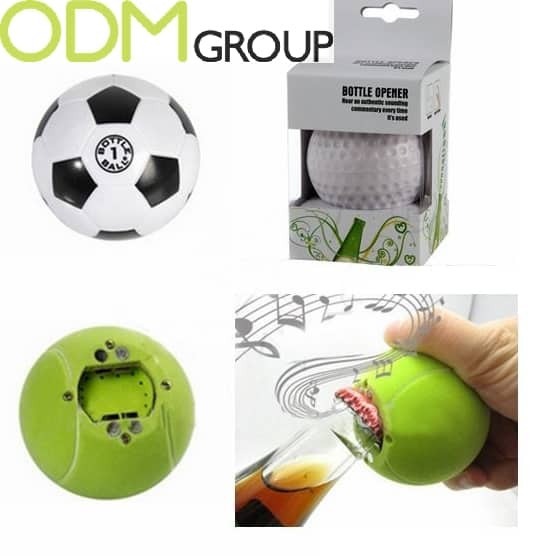 These fun bottle openers are shaped like golf balls, tennis balls or foot balls, and can play music when you open a bottle. There are different designs available for this Creative Sports Promotion Bottle Opener. The bottle openers are round, and roughly the size of the palm of your hand. One side is flat, and has the bottle opener part. There are magnets on this side as well, allowing you to easily stick it onto your fridge. 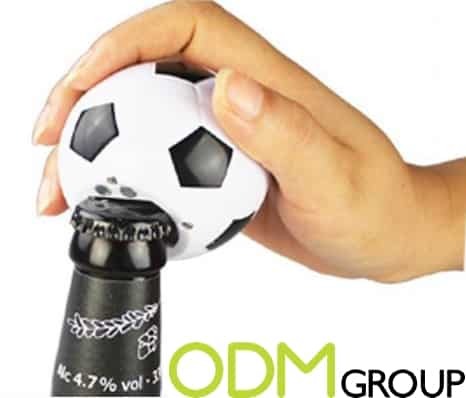 This Bottle Opener would make a great item for your Creative Sports Promotion, because this product can be shaped like any sports ball of your liking, and branded with your Company Name and Logo. The song that is played can also be customised during manufacturing. Why do we like this Creative Sports Promotion? Boosts Sales: If this item was offered as a Gift with Purchase, for example, it could offer an advantageous position in comparison to competitive brands. Customers will choose a product with a free item more quickly than a product without. Considering the shape of this bottle opener is so unique, it makes a very interesting product that will definitely catch the customer’s eye. Practicality: Because the back of this bottle opener has magnets on the back, it’s very convenient to place on your fridge. No longer will you have to rummage through countless drawers, looking for that one evasive bottle opener you were so sure that was around here somewhere. Finer Brand Rememberance: From the moment this bottle opener takes its place on your fridge, it draws attention to it. If you combine all the meals together, people actually spend three years of their life in the kitchen. Every night when people come home to cook, they will walk to their fridge. Whether it’s to grab the ingredients for today’s dinner or just a cold one, they will look at your brand logo!